It should have been simple. 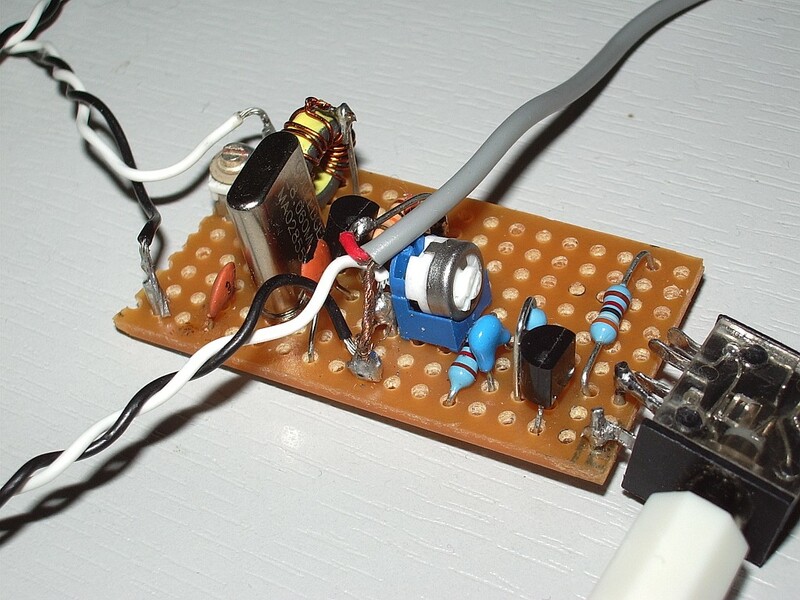 I needed a basic CW keyer that would allow me to use a paddle with my homebrew QRP / QRPP rigs because my shaky hands make sending Morse with a straight key too difficult at the moment. 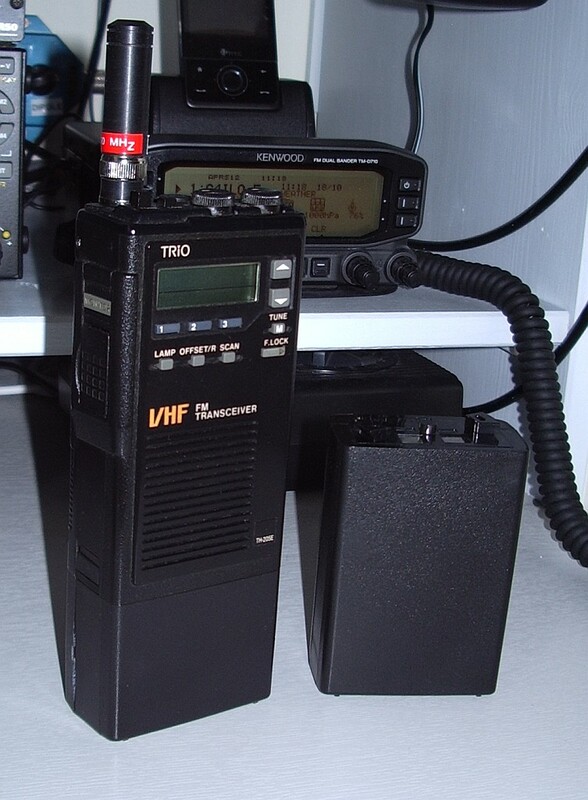 I also needed to be able to record a message and play it once or repeatedly until I heard someone reply or was spotted on the reverse beacon network. 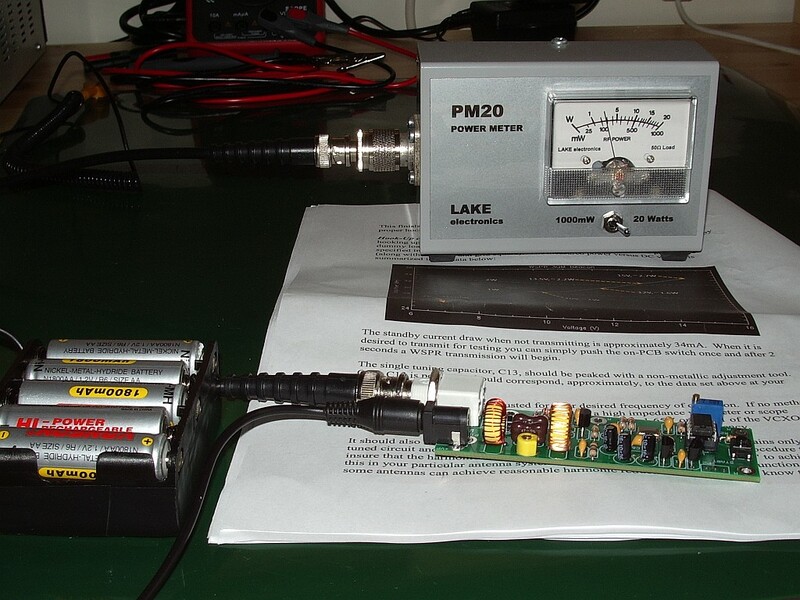 A couple of years ago I built a DC20B QRP transceiver. 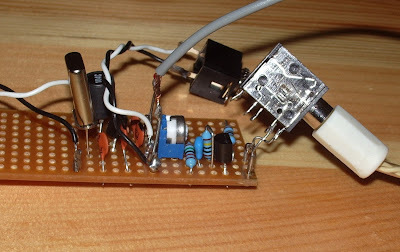 I didn't like it very much and eventually sold it on eBay but I did like the keyer built into it which used an ATTiny13 microcontroller. 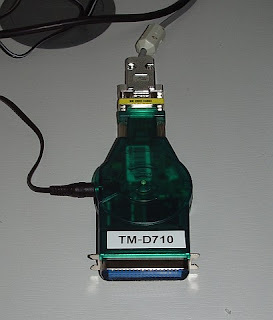 One day, I thought, I would build a keyer using this chip. I got two of the Atmel chips and Steve Weber KD1JV sent me the hex file so I could program them but I never got around to doing anything more until a couple of days ago. The simple keyer circuit uses only a handful of components but due to my condition it took a lot longer than it would have done pre-tumour to work out a perf board layout and build it. 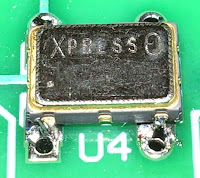 So you can imagine that I was a bit upset when after all that effort the keyer didn't work. It responded to the dash key and the function button, but not the dot key. 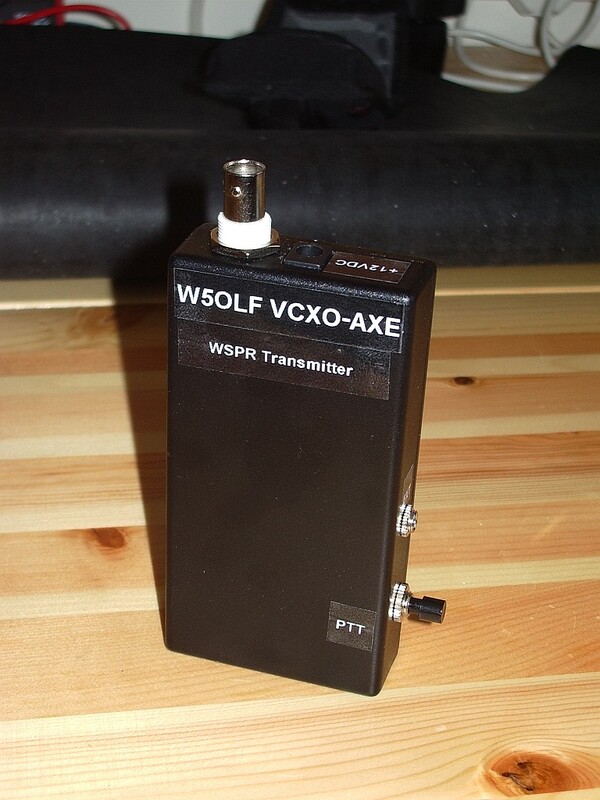 Also the sidetone was very high pitched and the Morse speed was about 100wpm! 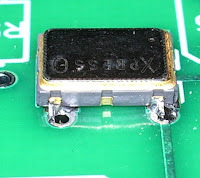 Thinking I had made a mistake programming the clock setting in the chip I tried programming the other one. This ended up just the same. 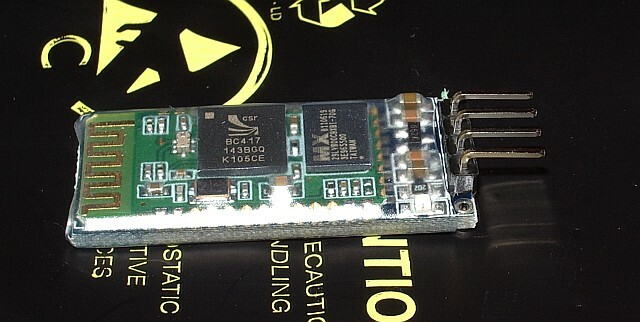 Unfortunately with the simple keyer program you have to disable the reset pin that is used by the programmer so you only get one chance to write the code to the EPROM. But as I don't have the source code and so can't try modifying it that shouldn't have been a problem. 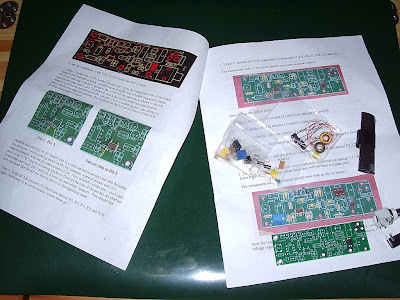 If I hadn't sold the DC20B I could have tried the keyer chip from that, but now I am now stuck with no idea what to try next. 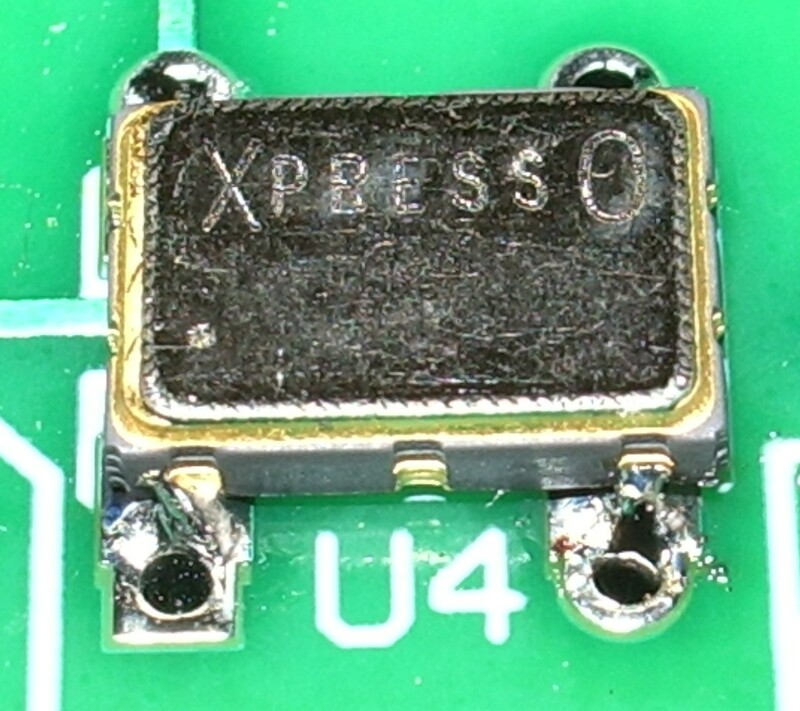 I have the code for another keyer that uses a PIC12F509A - the K9 from K1EL's freeware page. 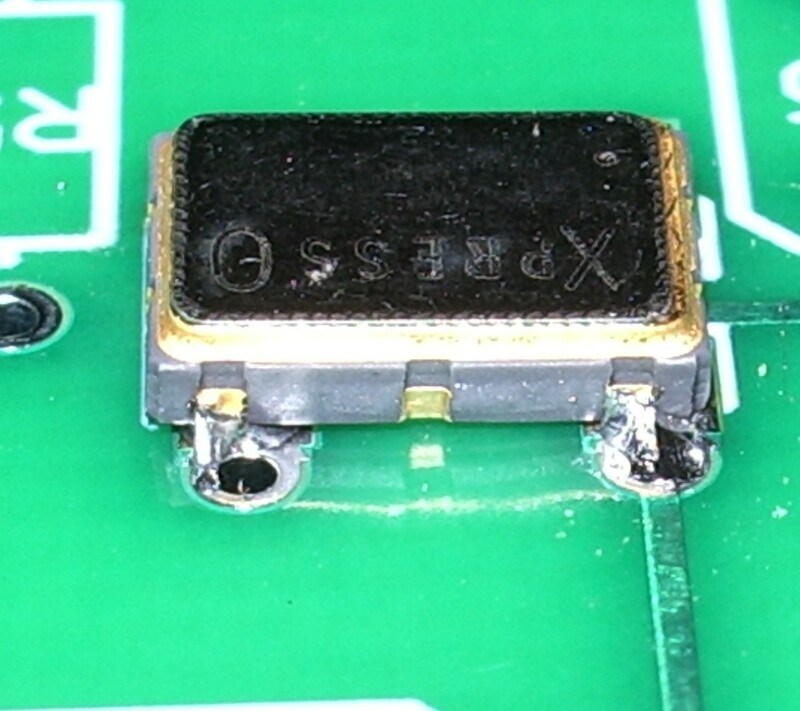 But I'd have to start over with the circuit board as the pinouts of the Atmel and Microchip microcontrollers are not compatible. 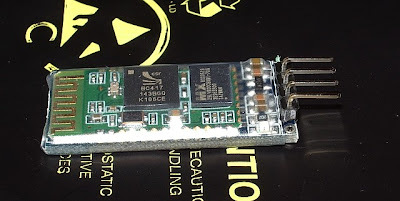 The functionality of the K1EL keyer program is not what I was after either, so I don't feel much like trying it at the moment. to all of our readers and well-wishers. 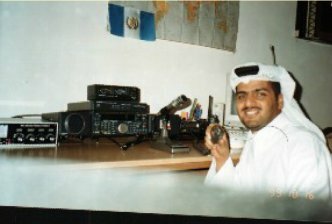 A batch of QSLs just arrived from the RSGB Bureau. Here are a few of the more attractive ones. Enjoy! I'm not the first blogger to mention this item of news but it is certainly one topic that I could not allow to pass by without comment. 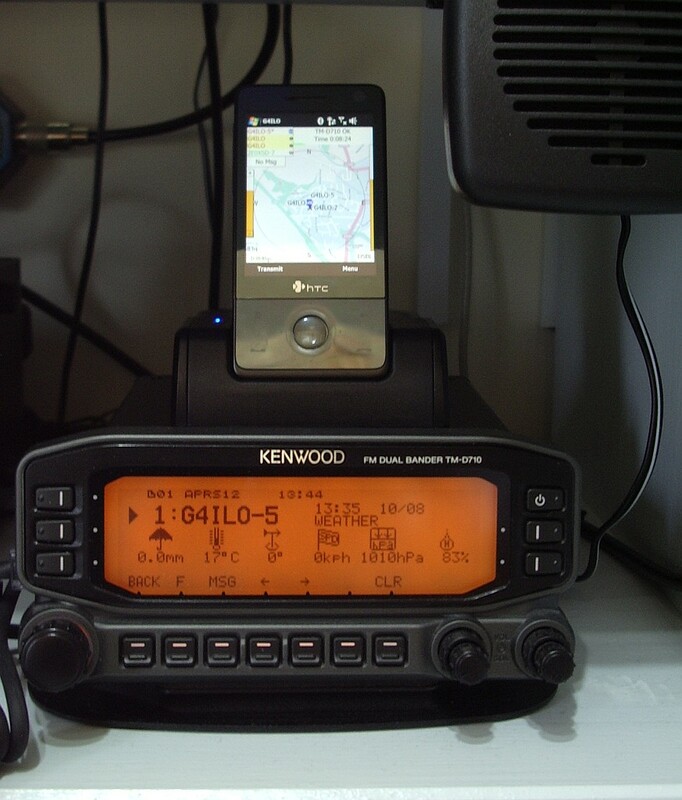 According to the IARU Region 1 website, the EU Commission will be revising the EMC Directive and removing the exemption of amateur radio kits and modified equipment from its provisions. Products that are currently exempted would be subject to inspection and certification, a process which would make the production of kits hopelessly uneconomic. It would also potentially spell the end of home building and modification and prevent the importation of kits from the USA and other havens of relative sanity. No, this isn't one of my April 1st spoof stories released from the Drafts folder by mistake! I would hope that the IARU, the RSGB and other European amateur radio societies will make urgent representations to the EC to stop this proposal. But this is just one scary example of why I and many other like-minded people feel that we in the UK would be better off out of the European Union. 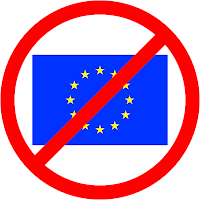 In fact, most of Europe would be better off without it in my opinion. Could somebody explain why, at a time when European governments are supposed to be cutting back on public expenditure, they continue contributing billions every year (only recently having voted an increase - the UK alone contributes £51 million per day) in order to fund this unelected and unaccountable Commission to employ people who live in cloud cuckoo land to produce unwanted, unnecessary and unasked-for legislation? One of the blogs I read this morning contained a link to this article in the Mail Online "Stocking up for Doomsday." The scenario it describes might seem to many of you a bit far-fetched but there are quite a few Americans who wouldn't think so. You don't have to look far to find web forums where people discuss survival plans. These people have guns to defend their families and their food and fuel store. They will use ham radios to communicate when the phones and internet are down. 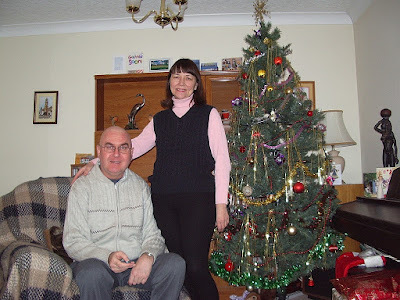 This Doomsday picture doesn't seem so far-fetched to my wife Olga. Few people in the West even know about this as it received hardly any coverage in the media at the time but in 1992 after the collapse of the Soviet Union Ukraine went bankrupt. Ukrainians who had money in the bank lost it all (and most have still never been compensated for it.) Food disappeared from the shops - not that there was much to start with. People stood on station platforms and begged for food from trains travelling through to Moscow. For years Olga suffered from stomach problems as a legacy from that period when she almost starved. Yes, this happened in a developed country that is right next door to Europe. The Ukraine government allocated plots of land so people could create kitchen gardens and grow their own food but these were usually a long way from where people lived and anything you did manage to grow got stolen. Olga and her mother avoided complete starvation only because her mother had food coupons as a war veteran which entitled her to obtain military rations. It's easy to think "it couldn't happen here" but the number of economists who are starting to predict a complete economic collapse is enough to make you start wondering if that is just being complacent. Most of us older people who have savings for our retirement have already experienced anxiety about the security of those savings. We naively trust that the British government will honour its promises to guarantee the first £50,000 of individual savings held in British banks but how do we know it could afford to? And how long would it be before we received that compensation? We'd have starved long before, I'm sure of it. And what about businesses, whose deposits are not guaranteed: businesses that we imagine would provide the food and services that we would need but which wouldn't have the money to keep trading? Panic buying will have long since emptied the shops of food. What would we do then? Make soup out of five pound notes? Happy New Year? I wonder. 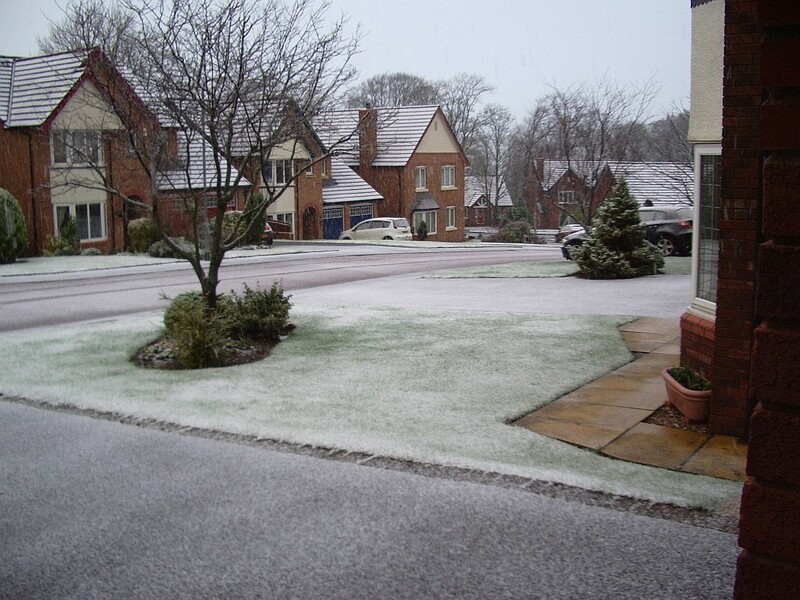 This was the scene that greeted me when I looked outside this morning! Nothing to what folks in the USA get, of course. But considering that it used to be unusual to have any snow at all during the winter here in West Cumbria it's still noteworthy. I hope we don't get any more, though. Apart from the hassle factor of slushy slippery pavements, a thick layer of snow on the roof won't help my attic antennas to get out. 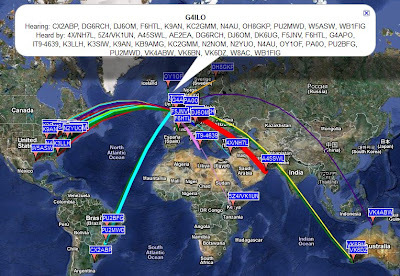 A couple of days ago I received an email from Mirek, OK1DUB, to let me know that, due to a small change in the format of the Geophysical Alert from WWV (http://www.swpc.noaa.gov/ftpdir/latest/wwv.txt) VOAProp is no longer able to process it, reporting that the format is invalid. Mirek has written a PHP script to run on his server (http://ok1dub.cz/ham/) which reads the original WWV file every 5 minutes and creates a new version using the old format. This file can be accessed at http://ok1dub.cz/wwv/wwv.txt . When I first tried it, the server was very slow to respond and I was afraid that it might not be able to handle the hundreds of daily requests made by the tens of thousands of copies of VOAProp that are out there. But this was apparently only a temporary problem. I have tried the file again today and it loads quickly. Mirek says he is happy to allow public usage. 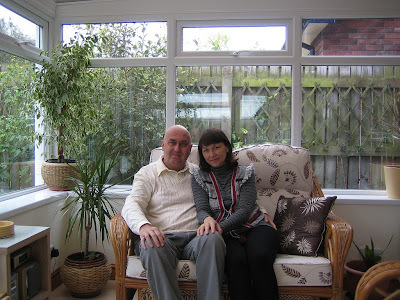 A page explaining what Mirek has done (and disclaiming responsibility for any error) is here. In VOAProp, click the Solar Data button to open the window that displays the WWV file. In the Data URL field, enter the address of the replacement file which is http://ok1dub.cz/wwv/wwv.txt . I am grateful to Mirek for providing this solution and hope that other VOAProp users will be too. To those who emailed and did not receive a reply (or received a rather tetchy one) instead of checking the Troubleshooting help page that I updated to point to this post, sorry, but this issue has put me on the receiving end of an unwanted email pile-up. 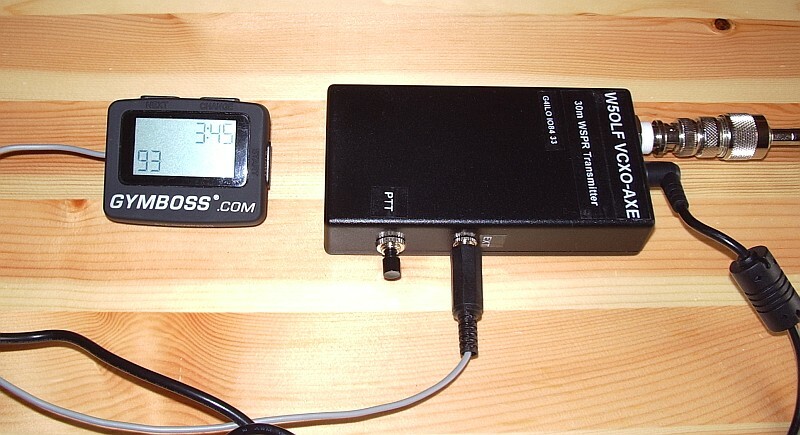 An early Christmas present to myself is this SDR-4 HF receiver from Cross Country Wireless. Actually, it wasn't intended to be a Christmas present. I decided to get one a couple of months ago when I first found out about it. 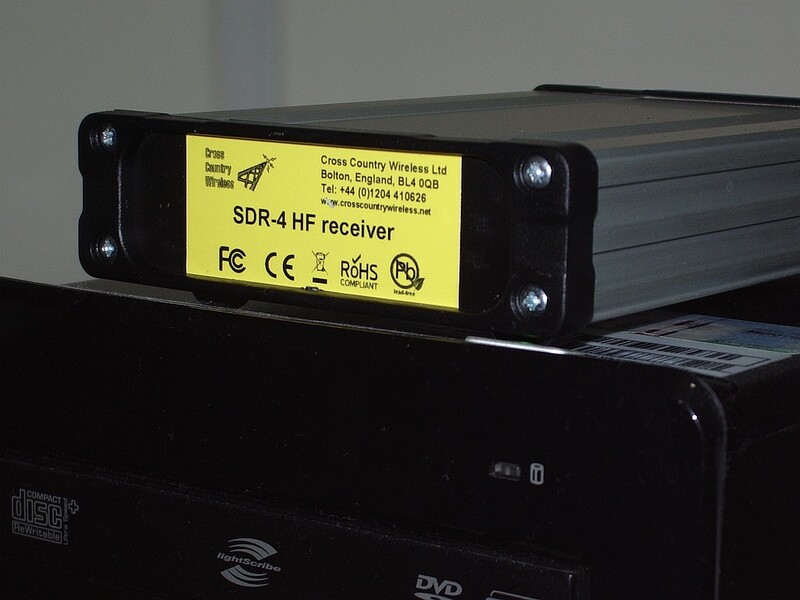 I think the SDR-4 is the lowest cost ready built HF bands software defined radio on the market (£150 or about $250 US). Unless you know different, of course. However it seems that a lot of other people thought so too, as there is a waiting list - people are ordering them faster than the designer Chris G4HYG can make them! The SDR-4 works with the usual free SDR applications. But it also works with the free version of Simon Brown HB9DRV's SDR-Radio.com application. 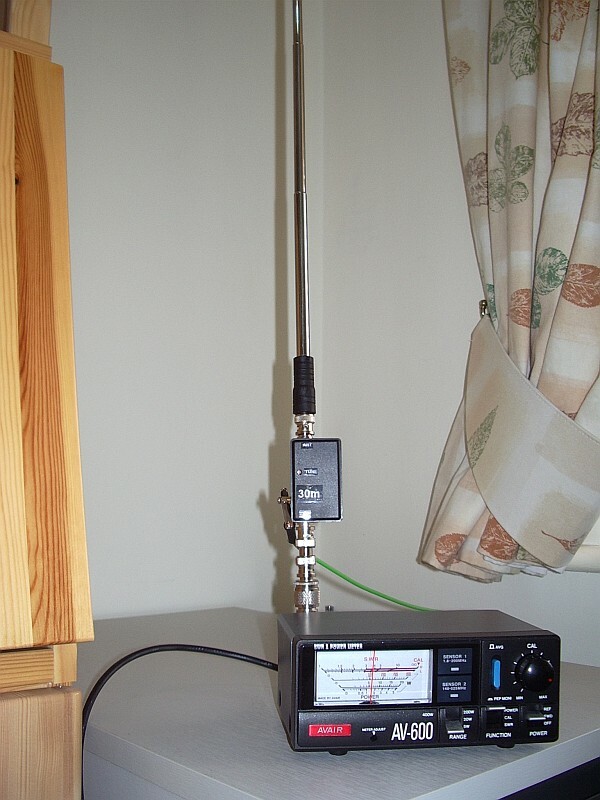 This is the best SDR software by a mile, though due to all the treatment and medication I am receiving for my brain tumour my mind is a bit slow at the moment and I find figuring out how to do what I want with it a bit challenging. 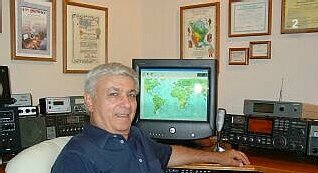 As you might expect from the author of Ham Radio Deluxe, SDR-Radio.com has built-in support for decoding digital modes. Unfortunately I haven't managed to work out yet how to get the digital decoder waterfall to be a reasonable size: At the moment it's a small window on the left hand side which is trying to display 15kHz worth of spectrum and although I'm hearing PSK31 I can't find a trace to click on! I'm also still trying to discover if there is a PSK Browser in the program that sends reports to the PSK Reporter reverse beacon site. Hopefully someone will enlighten me. I'm sure I'll be writing more about the SDR-4 receiver and SDR-Radio.com in due course, but in the meantime if you want more information or to ask questions about the receiver there is a Cross Country Wireless Yahoo! group. You can even try an SDR-4 out over the Internet if you follow the instructions posted by Chris. I did and it worked perfectly - and it was so nice to hear the amateur bands without the awful frying noise I have to endure here. Yahoo! 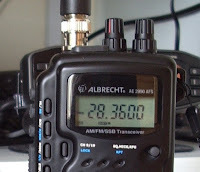 is also the place to go for information and support of SDR-Radio.com (the software.) 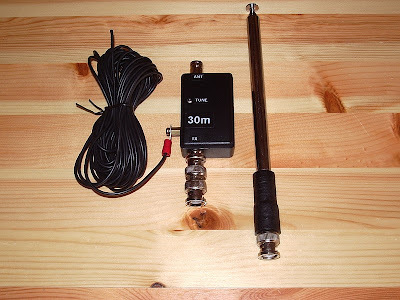 I look forward to seeing some comments and experiences of any of my readers who are tempted into trying this software defined radio. 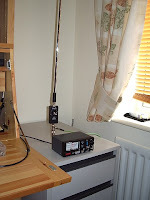 In the last few days several people have posted in their blogs or in forums that conditions on 10m have been great. Either I have been listening at the wrong times or this QTH is as bad on the higher HF bands as it is on VHF. 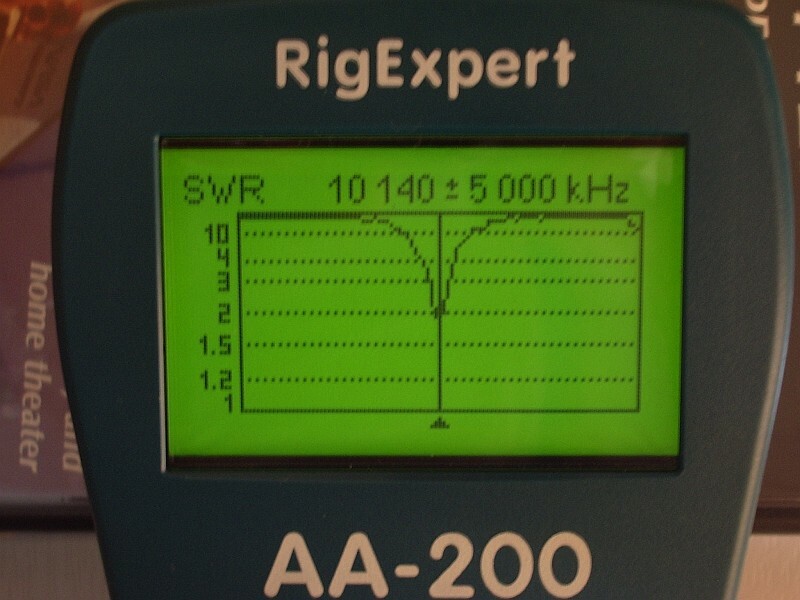 When I have tuned across the 10m band I have found only one or two signals strong enough to be heard above the S4 noise level I now have on this band and none loud enough to work. It's probably my QTH. 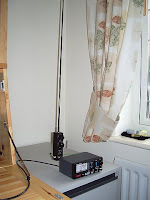 Last year when Olga was away in Ukraine I operated from the car with my QRP K2 and an MP-1 antenna on a mag mount and from just a few miles away but overlooking the coast I worked DX on 15 and 17m that I had never heard from home. Unfortunately going mobile is no longer an option as I am not allowed to drive due to my illness. Something must be working right though. Most of the day I have been running WSPR on 10m with 5 watts to the dipole and my signal was spotted on 5 continents. It's good, but it isn't the same as having an actual conversation. You can see why my interest these days is turning more towards things like EchoLink. 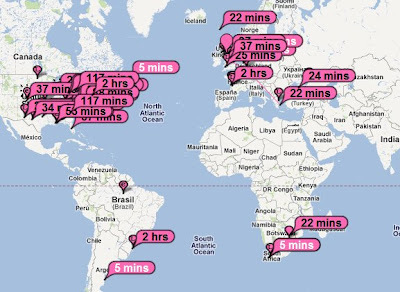 Over the last few days I have been running my EchoLink node #3098 connected into the IRELAND conference server. As I've been feeling a bit tired and lethargic recently it has been a way to pass the time listening to QSOs and making the occasional contact. Apart from IRELAND there seems to be nowhere else on the EchoLink network where there is enough activity that you can guarantee something to listen to or that someone will reply if you call CQ. 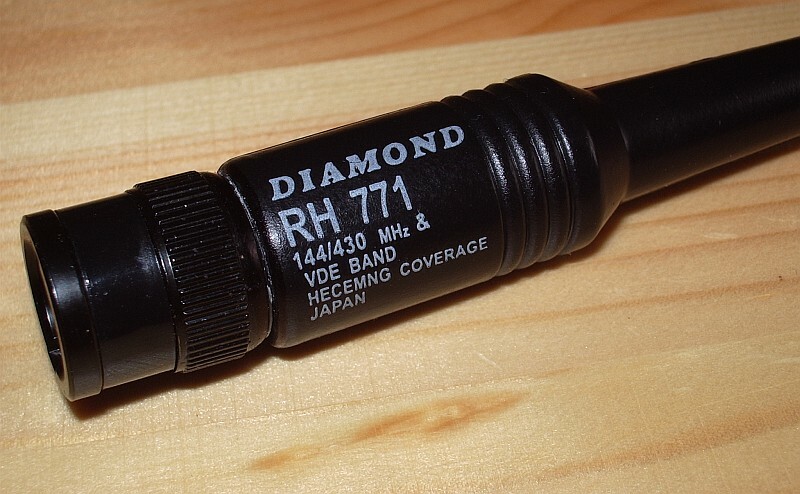 I know this is like talking of selling your soul to the Devil but would D-Star, which I have never experienced but which I gather has something called "reflectors", be any better from the point of view of making contacts with hams around the globe using a handheld? 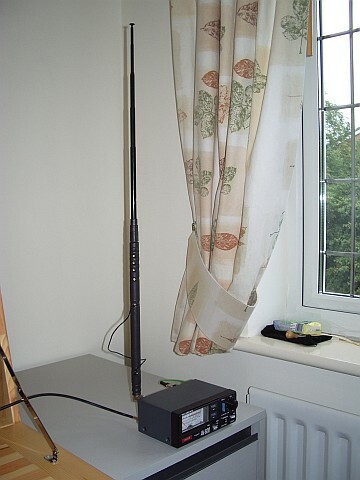 Yesterday I received a personally addressed letter from our cash-strapped radio society, the RSGB. What had motivated them to write to me? Apparently it was to tell me the annual subscription is to rise to £47 a year - the first increase since 2006 - and to ask if I would donate to the Spectrum Defence Fund - which I already have, once, and a lot of good that did - or the Radio Communications Foundation. Why could this letter not have been put in the same mailer as RadCom, the monthly magazine that all members receive, or even published in the magazine itself? Why did this even merit a letter, rather than a page of the magazine, in the first place? A few months ago I read that the RSGB was to use a bequest from a silent key member to employ a professional fund raiser. This, presumably, is the result. What a waste of money. A new programming software has been released for the Baofeng UV-3R. At the moment you can download it here. I used BitZipper to open the rar file. 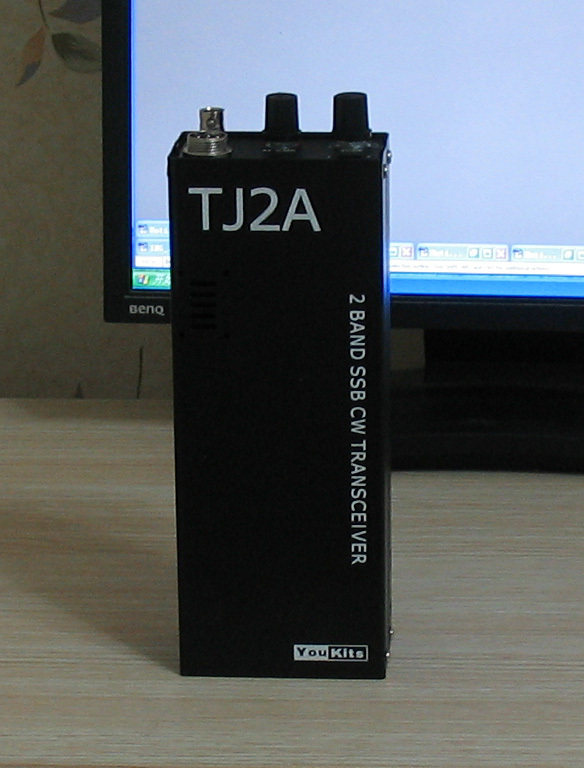 This software is claimed to be for the UV-3R MkII with the dual frequency display but it works with my MkI as well. I took the precaution of reading from the radio before modifying and writing anything: some people who didn't do that with the old program experienced problems. The new program is easy to use. Interestingly, it has two options for frequency range, one of which limits the range to the ham bands 144-146MHz and 430-440MHz. 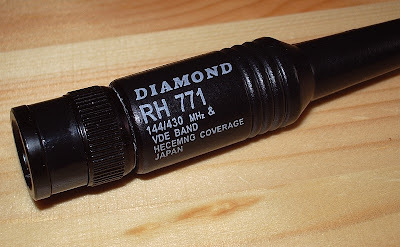 I assume that is to get approval in some countries that don't allow radios that can transmit out of band. There is also a column called Name for each channel, though I couldn't type anything in there. 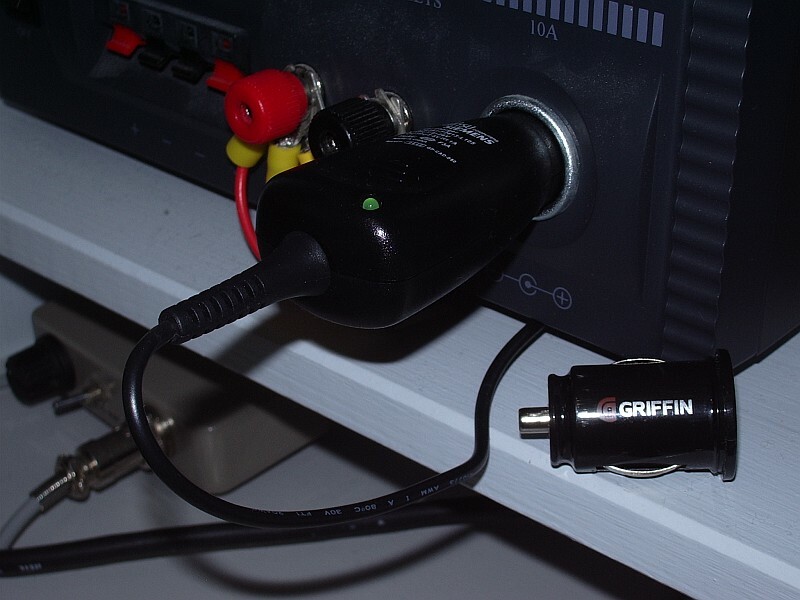 Perhaps a newer model will allow you to have channel names as well. the list! To use channel 20 as the priority channel I had to select channel 26, which was the 20th one in the list. I don't know what would have happened if the channel I'd picked was one that didn't have a frequency programmed into it - and I'm not going to risk finding out! I ought to mention that the cross-platform multi-radio supporting memory management software CHIRP supports the UV-3R as well. Not sure about the UV-3R MkII though. Everyone remembers what they were doing when they found out about the 9/11 attacks. I remember it because I had a bad migraine that day, rather like the one that turned out to be a harbinger of my brain tumour. I switched off the computer, drew the curtains in the bedroom, lay down on the bed and switched on the radio. Instead of the expected classical music there were voices talking about a plane that had crashed into the World Trade Centre. For a few minutes I lay there thinking I was listening to some "mockumentary" radio play like the famous Orson Welles "aliens have handed" spoof. But something told me that wasn't right, so I went downstairs, turned on the TV and saw that this was all too real. Today I hope against hope that we get through this anniversary day without another terrorist attack attempt. I just don't understand why anyone would want to give up their life, and end the lives of other innocent people, for any "cause". One thing being diagnosed with an incurable brain tumour has made me realize is that life is too short to waste getting angry about things you don't agree with.. Wouldn't the world be a better place if we could all banish negative thoughts, focus on enjoying life as best we can with those we love, and make peace even with our enemies? Though these channels are not available for use in the UK yet, the wording of the announcement suggests that they eventually will be. Looks like we dinosaurs who still insist on calling the calling channel S20 are going to have to give up QSYing to S23!